Most of the books I had lined up for April are intense thrillers and historical fiction novels. After reading four already this month, I needed something light hearted. 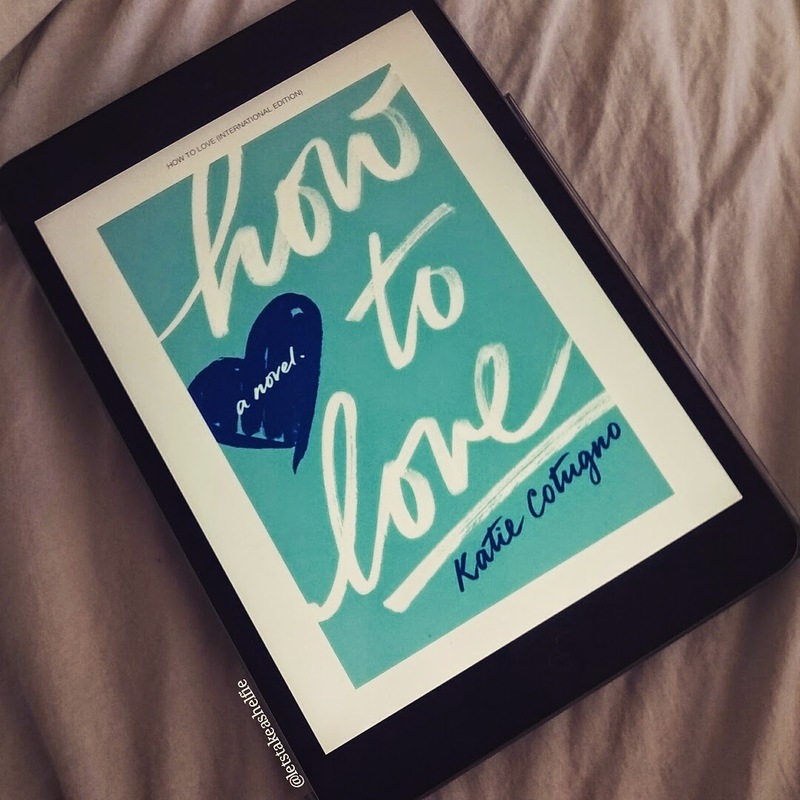 Enter, How to Love by Katie Cotugno. I liked the format of the book where each chapter alternates between the present and the past. The "After" chapters represent current day where Reena is living her life with Hannah after Sawyer has left. The "Before" chapters describe the events in Reena's life leading up to her pregnancy. How to Love has been in the market for well over a year and has some mixed reviews. I can see how some readers are torn. Sawyer is a very difficult character to life because he is so carefree and disregards the feelings of those close to him, especially Reena. I think others may also have issues with Reena and Sawyer's relationship. In both timelines they are deceitful and show very little remorse for the people they hurt as they rekindle their childhood romance. Despite all of this, I still enjoyed the book and can see myself reading this again. The love story is believable and most of the characters are realistic enough that readers can relate to them. If you're looking for a quick, feel good read, this book is a great choice. After finishing How to Love, I found out that Katie Cotugno has a new book coming soon, 99 Days will be released April 21, 2015. I've already added it to my TBR list for the summer. This one sounds like one I would enjoy. Great review! I just purchased for my Kobo. Awesome! I hope you like as much as I do. You will absolutely, positively L-O-V-E 99 Days! I got an advanced copy and finished it in a day. I had to come back and tell you, I LOVED THIS BOOK!! I usually don't get much reading done on the weekend, but I read this whole book. I couldn't/wouldn't put it down. I'll be pre-ordering the next book now. Thanks for reviewing this one. So glad to hear you loved it! I've pre-ordered 99 Days as well although, I know I won't get to it til later on next month.